Even though it's that time of year where we are all doing our best to stick to our gym-centric New Year's resolution, it doesn't mean that we should remove an occasional treat. In fact, being too strict can have a negative impact, creating a distraction. There's no sense in banishing all sweet treats, rather it's time to make smarter choices and practice a little moderation. Looking for a less-guilty treat? Try a few pieces of dark chocolate. Lower in sugar than milk chocolate and with higher concentrations of caffeine and flavonoids, dark chocolate is not only less guilty, but it also can help promote mental alertness. There are a surprising number of new studies out that are showing a correlation between ginger and mental wellness. While the jury is still out and the research is very young, there are promising signs that ginger can boost alertness, help with memory and improve reaction times. Looking for a quick fix of ginger? Try our Ginger and Cayenne shot! We know, it's kind of a cliche - but seriously, laughing helps. And while it's obvious that a good laugh can alleviate stress and elevate your mood, what's surprising is that these effects last. A good laugh can release tension and reduce stress hormones for a solid 45 minutes. Take "New Year, New You" to a new level. We all have that closet that's filled to the brim with a bunch of stuff that we have convinced ourselves that we need. But in reality, all the extra clutter prevents us from keeping things organized, and ultimately is just a big headache. January is the perfect opportunity to get rid of some of that extra stuff. Donate your old clothes to those in need, and improve your organization. 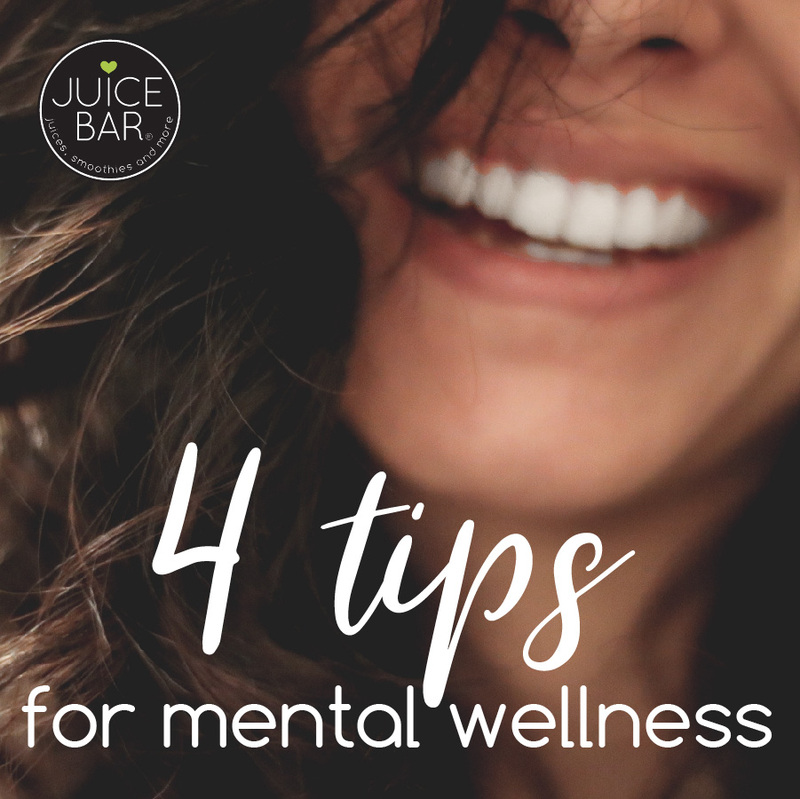 It's a win-win for mental wellness!